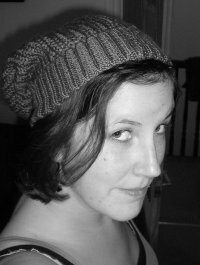 I am really pleased to finally welcome Cat Clarke onto the blog today, to talk about her writing on publication day for The Lost and The Found! Your new novel, The Lost and The Found has just been published. How does that make you feel? In a word: excited! This book is very special to me, and deals with a lot of topics that I’m passionate about. It feels a little different to my previous books, but at its heart it’s still about a teenager trying to figure out her place in the world and dealing with the crap that life throws at her. Can you give me a one line pitch for The Lost and The Found, so my readers can get a feel for the story? Ooh that’s really hard! How about something like: ‘What happens when the missing come home?’ Or ‘This is a book that starts with a happy ending.’ Or… Gah! I don’t know. This is why I leave all this malarkey to the clever people at my publishing house. I always think of you as one of the first UKYA authors, how do feel the genre has changed since you started writing for teens? That makes me feel as old as the hills! I think there have been a lot of changes. For one thing, there are more of us flying the UKYA flag and fighting the good fight for crisps and trousers and all things British. There’s more diversity too, which is so, so important. I think there’s still a long way to go, though. We need more BAME authors, LGBTQIA+ authors and authors with disabilities. There are a lot of stories still not being told. With each book you write, do you find it gets easier or harder? It’s definitely different with each book, but not necessarily easier or harder. With the book I’m working on now, I’ve had several false starts, which has never really happened to me before. It panicked me a bit, but I just had to trust that I would get there in the end, and that the story would gradually reveal itself to me. And (fingers crossed!) it seems to be working. I hope I haven’t jinxed it by saying that! Are you a planner or a pantser when it comes to starting a new novel? These days I get an A3 bit of paper and divide it into a grid with one box per chapter. At this stage a lot of it feels like guesswork, and a lot of the boxes are left blank, but if I know that something dramatic needs to happen a third of the way through the book, I’ll just write ‘SOMETHING DRAMATIC NEEDS TO HAPPEN HERE’ in that box. Hopefully, by the time I get to that point in the actual writing of the story, I’ll have a better idea of what that dramatic thing should be! That’s the idea anyway. Nope. I used to, but I found that sometimes I’d keep writing an easy scene just to add words to the count instead of wrapping it up and moving onto the next (inevitably trickier) scene. The wonderful Lee Weatherly introduced me to the Pomodoro Technique, where you write for 25 minutes solidly (no distractions allowed!) then have a five-minute break. My breaks tend to be much, much longer than five minutes though. I might only do four or five sessions a day, but I find that this results in a much higher daily word count than when I used to sit at the computer all day faffing around on the internet. You write about some really emotional and topical subjects, such as teen suicide and self-harming, how do you research for these? I do a lot of reading, and probably most importantly I listen to teenagers about the issues they’re facing today. Suicide and self-harm may not make for easy reading for adults, but for a teenager who feels lost and alone, just reading about someone who’s going through something similar can be a real comfort. We need to talk about these issues, and not avoid them because they make us feel uncomfortable. So many, but I’ll narrow it down to Keren David, Keris Stainton, CJ Skuse, Anne Cassidy, Tanya Byrne, and of course our fearless leader, Malorie Blackman. Can I sneak an Irish writer in too? Sarah Crossan is probably one of my favourite writers full stop. Her new book, ONE, is mind-blowing. Grab yourself a copy this summer. Which authors make you starstruck? JK Rowling! I met her a couple of years ago and I was shaking so hard I thought I might fall over. There was also a genuine concern that I might vomit on her. She was SO lovely though, and I’m happy to confirm that no falling over or vomiting occurred. Rejection and the publishing industry go together hand in hand, like cheese and pickle or Ant and Dec. It’s something that everyone who works in the business has to learn to deal with – not just writers, but agents and editors too. I find that sort of reassuring, to think that it’s not just us poor writers who suffer – misery loves company. ☺ It doesn’t magically stop as soon as you sign your first book deal either. I face rejection all the time, as do the vast majority of published writers. Some brilliant answers there from Cat Clarke! Thanks Cat for coming on the blog. Thanks for having me on your lovely blog, Viv! It’s been a blast. 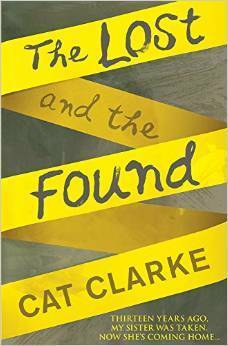 The Lost and The Found is published by Quercus and available to buy today!!! Pop back later to read my review of The Lost and The Found.